Attention: Aspiring and Frustrated Internet Marketers! Explore the Three Phases You WILL Go Through! What Will I Get Here? Where Does Dr. Hale Fit in? Will this information help me if I’m new to the all of this stuff? Do you provide paid coaching if I need extra help? You will receive two different items. The first is an eBook in your email. 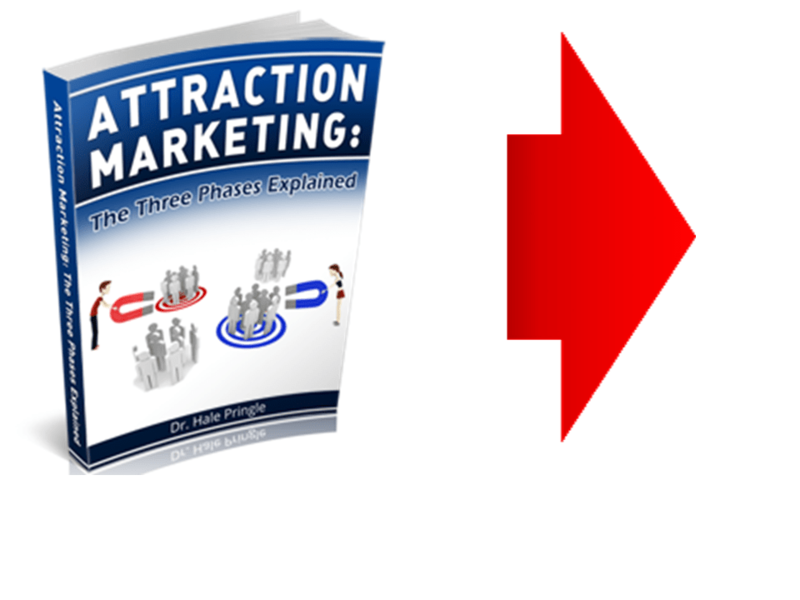 This eBook describes the first steps you need to go through to become an Attraction Marketer. From time to time you will also be invited to a Webinar. Ann Sieg presents this Webinar to describe how she and her team help people become Attraction Marketers. The step-by-step training in this system, along with my coaching, will walk your through creating your online Attraction Marketing Business. The eBook is Free and the Webinar is free. The Daily Marketing Coach trial month is less than $10. Dr. Hale Pringle is very active in the mastermind group and does some of the training for Ann Sieg. He gives extra attention to members of his personal team. There is no charge for this extra help. Will this site help me if I’m new to the all of this stuff? Absolutely! You’re definitely in the right place…many of our subscribers are people who are just getting started. The Step-by-step training provided in the Ann Sieg’s Mentoring program is designed to take people through all of the steps required to become a successful Internet Marketer. Do you offer personal consulting services? Yes. Due to my busy schedule, I have to limit the number of consulting clients that I work with each month. If you are interested in participating in my video marketing program, please click on our “Work With Hale” link above and fill out the application for consideration. There is no contract and a simple email will cancel your subscription at any time. There is even a 14 day money back guarantee for the trial membership if you decide for any reason that this program is not for you.